BOSTON, February 11, 2019 — Certification reinforces the company’s commitment to quality in software development, maintenance, and quality assurance. BOSTON, December 4, 2018 — New clients and increasing demand for Strategic Operations Support (SOS) prompt enterprise growth. BOSTON, October 2, 2018 — New-business growth, plus increasing demand for strategic operations support, prompt hiring. BOSTON and LONDON, May 31, 2018 — Xceedance and ChainThat, a pioneer in blockchain technology for the re/insurance industry, are co-hosting an insurance blockchain symposium on June 7 (1pm) at the Bermuda Underwater Exploration Institute (BUEI) in Hamilton, Bermuda. BOSTON, January 8, 2018 — Xceedance, a global provider of insurance consulting, managed services, technology, and data sciences, has named Travis MacMillian as the company’s chief business officer. BOSTON, September 25, 2017 — Xceedance is pleased to announce Monalisa Samal has been inducted into the 2017 class of the “Influential Women in Re/Insurance” program, sponsored by Intelligent Insurer. BOSTON, May 31, 2017 — Following its recent incorporation in Bermuda, Xceedance today announced an expansion of its industry-focused consulting and managed services to support re/insurance organizations domiciled in Bermuda. BOSTON, April 19, 2017 — Xceedance is pleased to announce that the company has joined the American Association of Insurance Services (AAIS) as an associate member. LONDON, December 5, 2016 — Xceedance today announced the launch of an operations centre in Krakow, Poland. BOSTON, November 15, 2016 — Xceedance today announced the appointment of Rajesh Iyer as senior vice president – head of data sciences. LONDON, October 24, 2016 — Xceedance has established an office in London to serve the European, Middle East and Africa (EMEA) market. BOSTON, May 31, 2016 — Xceedance announces George Freimarck, vice president for marketing and business development. Rachita Nahata, associate vice president of underwriting at Xceedance, discusses how re/insurers can move forward along the data analytics maturity curve to boost decision making. In this article, she presents four use cases and areas of the insurance lifecycle in which data analytics and mastery are strengthening operations. Jarno Seegers, associate vice president, business development at Xceedance, spoke with Insurance Post about the harmful effects of using bad data while implementing machine learning and AI in critical processes across the insurance value chain (see page 4 of this roundup article). David Edwards, chief executive officer of ChainThat, a strategic partner of Xceedance, led a real-time trial of the company’s first-of-its-kind blockchain-based insurance exchange in Bermuda. The demonstration for 80+ industry executives showcased how a reinsurance deal can be executed leveraging distributed ledger technology (DLT). Blockchain specialist ChainThat, a strategic partner of Xceedance, launches the Bermuda Insurance Exchange, the industry’s first risk and capital exchange driven by distributed ledger technology (DLT). ChainThat, an innovative blockchain and distributed ledger technology (DLT) provider, introduces and demonstrates the Bermuda Insurance Exchange — expected to drive savings and workflow efficiencies for brokers, cedants, and insurers. In a conversation with Insurance Post, Prateek Vijayvergia, vice-president of technology and application services at Xceedance, emphasized how new-age intelligent technologies can deliver cost advantage to insurers and improve policyholder experience (see page 2 of this roundup article). George Freimarck, managing director – Europe at Xceedance, discusses how MGA-in-a-box solutions can help startup or established MGAs swiftly build out a tailored, adviser-driven sales and service engine. Justin Davies, region head – EMEA at Xceedance and Vikas Acharya, chief operating officer of ChainThat, draw attention to the proliferation of partnerships between insurance organizations and insurtech providers, elucidating a change in mindset where insurtechs are seen as enablers, not as imminent threats (see pages 2 and 3 of this roundup article). Justin Davies, EMEA region head at Xceedance, discusses the impact of disruptive technologies and insurtech on traditional insurance operations, and provides actionable insights and partnership models for re/insurers looking to achieve digital maturity. In an interview with the Royal Gazette (Bermuda), ChainThat CEO David Edwards discusses his company’s focus on leveraging blockchain and distributed ledger technologies to allow every party involved in a re/insurance contract — including for example, brokers, insurers, reinsurers, and a settlement bank or other parties in the insurance value chain — to simultaneously and securely access and act upon the same transactional data and status. According to Justin Davies, EMEA region head at Xceedance, the insurance industry continues its efforts to harness rapidly-evolving technology, including AI, robotics, and blockchain. But re/insurers do not need to act as technology incubators. Instead, Davies observes, they can depend on expert support from smart operations and insurtech partners to deploy intelligent automation for product and process optimization, and for superior service delivery. 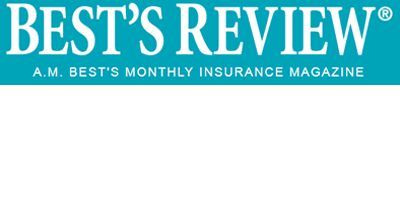 In a recent Best’s Review “Issues & Answers” interview, Xceedance chief technology officer Amit Tiwari offers insights into how re/insurers can leverage insurtech and strategic operations support (SOS) to eliminate redundancies and inefficiencies in underwriting, policy service, claims processing, and data management. At the Baden-Baden Reinsurance Meeting in October, George Freimarck, managing director – Europe at Xceedance, commented on pan-industry collaborative efforts to harness the full potential of blockchain. InsurTech start-up and Xceedance strategic partner ChainThat has been shortlisted by the London Market Target Operating Model (TOM) in a blockchain claims pilot. As the reinsurance industry gears up to drive efficiency through blockchain adoption, ChainThat CEO David Edwards elucidates how distributed ledger platforms will help create business value for diverse industry participants. In an interview with Intelligent Insurer, Travis MacMillian, chief business officer at Xceedance discussed why Strategic Operations Support (SOS) is a highly viable and logical methodology and successor to traditional business process outsourcing. Arun Balakrishnan, CEO and Justin Davies, EMEA region head at Xceedance, spoke with globalreinsurance.com about how innovation driven by technologies such as AI, Blockchain, and OCR is transforming traditional business workflows. ChainThat CEO David Edwards traces the evolutionary trajectory of insurance blockchain solutions from pilot projects to current, production-ready offerings expected to deliver significant savings and efficiency to re/insurers worldwide. How can reinsurers solve pertinent business challenges, including rising operating cost, inefficient processes, increasing M&A activity, legacy enterprise applications? By leveraging advanced technology, according to Xceedance CEO Arun Balakrishnan — who provides a wide-ranging perspective in an interview with re-insurance.com. From accelerating adoption of intelligent technologies — such as AI and RPA — to delivering outcome-driven strategic services, Xceedance chief business officer Travis MacMillian explains what sets the company apart. Xceedance senior vice president of consulting Sachin Kulkarni discusses Adaptive Target Operating Models and the company’s scientific approach to driving operational transformation and process optimization across the insurance business lifecycle. In a Best’s Review “Issues & Answers” conversation, Xceedance chief business officer Travis MacMillian discusses how mutual insurers can leverage Strategic Operations Support (SOS) to better protect capital, streamline business processes, and accelerate growth. Travis MacMillian, chief business officer at Xceedance discusses the relative roles of industry expertise, human capital, and technology in insurance operations. He notes that as intelligent technologies such as artificial intelligence, machine learning, and robotic process automation evolve and becomes more adaptable to processes, insurers will find new ways for their people to contribute more fruitfully. Justin Davies, head of EMEA at Xceedance, and David Edwards, chief executive officer of ChainThat, comment on mutually beneficial partnerships between reinsurers and insurtech startups which can significantly transform the reinsurance market. In a Best’s Review “Issues & Answers” interview, CEO Arun Balakrishnan discusses how Xceedance provides strategic operations support (SOS) to specialty-lines insurers, helping them to resolve complex operational challenges and harness new revenue streams. In a roundup article, Rajesh Iyer, head of data sciences at Xceedance, shares a few thoughts on how intelligent technologies can augment data-driven decision making across the claims handling process. Xceedance CEO Arun Balakrishnan explains why the company teamed up with ChainThat, a leading insurance blockchain solution provider, to harness the potential of distributed ledger technology and help drive efficiency for its global clients. David Edwards, ChainThat CEO also describes using blockchain smart contracts to revolutionize re/insurance markets. Xceedance and ChainThat co-hosted a blockchain symposium in Bermuda, providing a platform for leading re/insurance companies to explore ways in which the technology can create significant business value. COO Vikas Acharya discussed how ChainThat blockchain-based proprietary solution has demonstrable capabilities to drive operational efficiencies for re/insurers. At the recent ‘Bermuda on Blockchain’ event in Hamilton, Xceedance CEO Arun Balakrishnan emphasized the need for collaboration by the entire re/insurance ecosystem to unleash the full potential of blockchain technology across the industry’s value chain. The well-attended and successful Xceedance-ChainThat blockchain symposium in Bermuda on June 7 covered the ways in which blockchain technology can help insurers reduce inefficiencies, streamline processes, and improve expense ratios. Expert panels discussed the capabilities of blockchain to remove frictional costs and act as an enabling platform for coordination between parties, while providing data certainty. Insurance CIO Outlook, a leading insurance technology publication, announced the ‘Top 10 Blockchain Solution Providers’ for 2018. ChainThat, a strategic partner of Xceedance, featured on the list and has been recognized for its innovative Insurance Blockchain Framework that powers robust enterprise collaboration solutions. The framework seamlessly integrates with existing policy administration systems and enables re/insurance consortiums to experiment, fail-fast, and develop sophisticated trading relationships. RPA and AI promise to deliver significant business benefits and cost savings for re/insurers, but intelligent technologies should not be viewed as an all-encompassing solution to achieve those objectives. Xceedance board member, John Begley, explores why insurers should identify IT use cases that complement the company’s growth and culture, and consider pilot projects before fully investing in enterprise-wide implementations of smart automation. David Edwards, CEO of ChainThat — a strategic Xceedance partner and blockchain pioneer — joined a panel discussion at the 2018 Global Insurance Symposium. As noted in this roundup article, the panel focused on the role of blockchain in insurance operations, and examined insurer adoption challenges in integrating blockchain solutions and core systems. Drawing on industry research, Manish Khetan, chief strategy office at Xceedance, reviews how insurers can maximize current and future investments in BI and analytics — by attending to data quality, strengthening abilities to analyze and act on insights derived from internal data, and vetting potential new data sources and partners to improve the overall customer experience. According to John Begley, a member of the Xceedance board of directors, re/ insurers must look for technology to do more than just cut costs. Emerging technologies such as robotics must be carefully synchronized to enhance business operations and service delivery. Under those conditions, cost savings and improved profitability are an inevitable outcome. ITAPro asked several influencers, including Xceedance, what the insurance industry has focused on recently and what the future holds. In response, George Freimarck, head of the Americas region at Xceedance, talks about blockchain implementation as a hot topic for the industry in the near future. One outcome of the rapid pace of change in insurance is a tipping point in resource and workforce management, where the traditional BPO model is no longer strategically viable. Arun Balakrishnan, CEO of Xceedance introduces Strategic Operations Support (SOS) — a partner/service provider relationship which unifies profound insurance expertise, dexterous support in core insurance functions, and multifaceted understanding of emerging technologies — to improve the business proficiency of insurance organizations. Amit Patil, senior manager of underwriting services at Xceedance, was selected by Reactions Magazine as a ‘Rising Star’ from a pool of worldwide applicants under the age of 30 representing leading re/insurers and service providers. The Reactions feature recognizes young and rising professionals in the global insurance industry facing a talent crunch as the current generation of insurance specialists retire or move on. According to Amit Patil, underwriting manager at Xceedance, in the next five to ten years, the InsurTech movement and intelligent technologies will likely drive insurance organizations to operate very differently than today. That’s because the fundamentals of the insurance business model are being disrupted by a technology-driven revolution transforming the way re/insurers do business, interact with policyholders, and process multifaceted data about risks and exposures. According to Marek Kaszczyc, vice president and head of Poland operations at Xceedance, re/insurance organizations need to meet the exacting new standards of GDPR in a timely and cost-effective manner. With just three months left before GDPR goes into effect, many regulators have not yet issued guidelines. There is still time to get the compliance process on track. Companies do have a bit of breathing space — but they must use it wisely. Xceedance CTO Amit Tiwari discussed re/insurance operations in the era of the fourth industrial revolution, which is underlined by the influence of new and advanced technology that is accelerating change across the global risk transfer industry. Marek Kaszczyc, vice president and head of the Xceedance managed services team in Poland, reviews the fundamentals of adopting robotic process automation (RPA) in insurance operations. He notes RPA can establish greater process precision and efficiencies for insurers, but also highlights potential pitfalls if RPA is not well implemented. Xceedance CTO Amit Tiwari surveys the wave of intelligent technology in insurance — a trend that offers access to greater volumes and accuracy of data, the feasibility to leverage automation for repetitive tasks, and the potential to create more intuitive and efficient systems for managing insurance operations and complex transactions. Kaushik Gohain and Prateek Vijayvergia discuss the outlook and possibilities for insurance operations and knowledge workers in the era of intelligent technology. The partnership of Xceedance and ChainThat enables the two companies to drive the adoption of blockchain in re/insurance by developing and applying decentralized technology, data/analytics, and consulting services. As pioneers in blockchain, distributed ledger technologies and smart contracts, Xceedance and ChainThat have partnered to provide secure online transactional services tailored for re/insurance processes, and to develop blockchain products for the commercial, specialty and reinsurance markets. According to Marek Kaszczyc, vice president and head of the Xceedance managed services team in Poland, adoption of blockchain in the insurance industry, requires insurers to embrace a broader view of Distributed Ledger Technology (DLT) — beyond its financial characteristics. Despite initial skepticism, examples of blockchain use are emerging and insurers are starting to pay more attention. Justin Davies and Amit Tiwari explore the rise of InsurTech, what the Fourth Industrial Revolution (4IR) means for the insurance industry, and what insurers can do to better to achieve operational productivity and success amid wide-ranging changes. CEO Arun Balakrishnan shares insights on blockchain technology and how it can help to transform and manage the way insurers deal with rapidly increasing data sources in insurance operations. As blockchain gains traction in the industry, Arun discusses its potential to improve data security, accuracy and continuity. CEO Arun Balakrishnan discusses how insurance companies will become customer-centric, how personalized risk assessment will be possible in the wake of IoT, and how managed service partners will ease the operational pressures in the next 10 years. Manish Khetan and Amit Tiwari examine the challenges insurance organizations face in adopting emerging technologies, and how industry-focused managed services partners can help bridge the gap of expertise and operational timeliness. Leading Indian publication Yourstory.com throws light on the journey of Xceedance, from being a start-up to thriving globally as a service provider for the insurance industry. CEO Magazine identifies Xceedance as a “Great Place to Work” and members of the leadership team describe how Xceedance focuses on developing future leaders. Extending services in the Bermuda market is integral to the efforts of Xceedance to enhance the international scope and proximity of its consulting and managed services capabilities. CEO Arun Balakrishnan discusses the rapid advancements in technology and RPA, along with some perspectives on transformation and change for insurance operations. As a lesson for how Blockchain can be internalized and implemented, the insurance industry can look at the measured way in which cloud was evaluated, rejected, and then slowly adopted. Xceedance has joined the American Association of Insurance Services (AAIS) as an associate member. AAIS is a national advisory organization that develops policy forms and rating information used by more than 700 property/casualty insurers. The Fourth Industrial Revolution (4IR) is transforming the way people, businesses and machines work together. Justin Davies, region head – EMEA, provides some interesting observations on how the insurance industry is ripe for disruption during the unfolding 4IR. Xceedance is identified as one of the fastest growing startups in India. CEO Arun Balakrishnan and members of the Xceedance leadership team describe a unique journey of growth and innovation as an industry-focused managed services provider. The Fourth Industrial Revolution (4IR) combines the Internet of Things and the Internet of Systems, from which cyber-physical systems (CPS) are emerging. Rajesh Iyer, head of data sciences at Xceedance, discusses how edge computing and scoring models can align with 4IR principles in the business of insurance. Company of the Year (P&C Insurance): The rapid and ongoing growth of Xceedance is solid confirmation of the company’s business and managed services strategy. Xceedance launches an operations center in Krakow, Poland. With rates squeezed and investment returns wafer thin, what options do insurers and reinsurers have for growth? The traditional “analog” domain of insurance is no longer acceptable or productive. We have definitively entered the age of digital commerce. And it is fast reshaping the insurance landscape, just as it has in many other industries. Xceedance…offers services for re/insurance companies critical in a fast-changing market, ranging from accounting services to the creation of complex data models and artificial intelligence programmes that allow businesses to price their transactions correctly. Xceedance establishes a dedicated data sciences and services team to create strategic data products and analytic tools. Data sciences is becoming increasingly prevalent in the insurance industry, mobilizing insurers to leverage internal, external, structured and unstructured data to inform strategic decisions. Insurance technology provider Xceedance has expanded once again with the hire of a new head of data sciences. Xceedance is seeing a very strong demand from re/insurers to improve operational efficiencies whilst reducing their costs, by partnering with managed service providers. Through the London office, Xceedance works with brokers and re/insurers to launch new products, drive lean operations, implement cutting-edge technology and leverage analytic capabilities. How does an insurance business transition to operating successfully and efficiently in the new world of work? Xceedance representatives will attend a wide range of international insurance conferences in 2019. Our event schedule is posted below. Connecting at these industry venues is a great opportunity to explore how Xceedance can support and strengthen your insurance operations. Please reach out via contact@xceedance.com to arrange an onsite discussion, and we look forward to meeting you. A caucus of insurtech entrepreneurs, investors and market professionals in London to exchange ideas, identify opportunities, and apprise each other of pertinent challenges, accelerating insurance technology innovation. A forum for business and IT leaders to explore the extraordinary shifts taking place in the insurance market and how to leverage the potential of new technologies that are driving change. A masterclass for participants to deliberate on how the London and global specialty markets are positioned — in light of rising operating costs, increasing cat losses, and low rates. 200+ delegates from more than 150 companies get together to network and hear from industry thought leaders and innovators about key trends facing re/insurance professionals. InsTech – MGA: The New Frontier for InsurTech? This event provides insight into how new MGAs get to market, lessons learned along the way, the key roles of partners in business operations and technology design, funding, and attributes of successful MGAs. The 2019 Mid-Year Meeting provides access to more than 60 program carriers, elite service providers, the London Markets, reinsurance support, program development and distribution resources, and a myriad of networking opportunities. The OASIS Loss Modelling Framework annual conference is a forum for modelling experts to discuss and enhance models for better estimating and managing natural catastrophe risks. Topics include: Technology benefits for exposure management; key research challenges in flood modelling; and impact of climate change on the current risk level for tropical cyclones. The OASIS Loss Modelling Framework annual conference for the CAT community focuses on issues facing the CAT community including: Flood research and key challenges; climate change and the re/insurance industry; and exposure data management. The Rendez-Vous de Septembre brings together the major players in the world reinsurance markets in Monte-Carlo. The world’s largest insuretech event offers unparalleled access to the most comprehensive gathering of tech entrepreneurs, investors and insurance industry incumbents from across the globe. 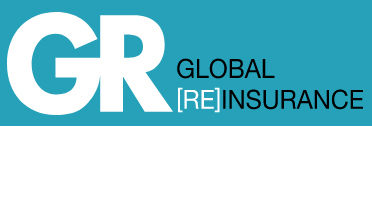 The Baden-Baden meeting is a key event for reinsurance professionals from across the globe. The meeting provides an opportunity for cedants, brokers, and re/insurers to discuss industry trends and the renewal of reinsurance contracts. The annual summit is dedicated to meeting the unique challenges of program administration. Marek Kaszczyc, vice president and head of Poland operations at Xceedance, explains why traditional, hierarchical styles of leadership can be counter-productive to the development and retention of an emerging, technology-savvy talent pool in the re/insurance industry. Justin Davies, senior vice president and EMEA region head at Xceedance, outlines factors driving demand from Lloyd’s syndicates to use managed services providers — who can provide flexibility to adjust staffing support, depending on prevailing business needs. Anthony Iatesta, associate vice president and business development executive at Xceedance, discusses how specialist service providers can deliver business agility to re/insurers and MGAs/MGUs through expert support, smart automation initiatives and out-of-the-box technology solutions. In a previous post, Xceedance chief business officer Travis MacMillian reflected on how re/insurers can better manage change on the journey to achieving their strategic business objectives. In this post, he provides more perspective on navigating transformation, particularly with respect to distribution channels, technology, and communications. Travis MacMillian, chief business officer at Xceedance, outlines change-management challenges facing the insurance industry, examines the need for enhancing business agility, and suggests constructive ways for re/insurers to manage change while supporting sustainable growth. Tashi Singal, senior consultant at Xceedance, suggests the establishment of direction-determining objectives is a critical step in strategic planning, but adaptability and course correction are also vital. Tashi Singal, a senior consultant at Xceedance, discusses why insurance consultants should not exclusively rely on industry benchmarks which prove to be self-limiting in more ways than one. Amit Ranjan, EVP of global service delivery at Xceedance, reflects on how insurance-expert consultants can combine data analytics techniques with business interpretation to help re/insurers customize their target operating models and improve performance. Sachin Kulkarni, senior vice president, consulting services and Kalpana Ganesh, vice president, global insurance services at Xceedance, present a differentiated target operating model (TOM) approach for (re)insurers to thrive in the rapidly evolving market and technology landscape. Deepak Ravindar, senior consultant at Xceedance, discusses why it is necessary to avoid jargon in the practice of consulting and set the right expectations for client stakeholders. Xceedance practice leaders Prashant Tekchandani (Claims Operations) and Prateek Vijayvergia (Technology Applications), discuss a realistic and practical approach to achieving auto claims transformation, by focusing on technology augmentation, process reengineering, user experience optimization, and intelligent automation. Justin Davies, vice president and region head for the EMEA region at Xceedance, makes a case for accelerating insurtech innovation to transform traditional business models, improve pricing accuracy, and enhance policy holder experience. At the ‘Bermuda on Blockchain’ event co-hosted by Xceedance and ChainThat, Arun Balakrishnan, the CEO of Xceedance discussed the role of insurance blockchain in reducing inefficiencies and achieving data-centricity. Xceedance CEO Arun Balakrishnan traces the company’s journey over the past five years, and presents a glimpse into the road map and strategy of the organization. The lack of standardized data management processes and the proprietary nature of data within the heavily regulated insurance industry has inhibited insurers from employing data science for driving growth, enhancing efficiency, and improving customer experience. George Freimarck, vice president, business development – Americas at Xceedance talks about the need for industry players to launch a focused effort to create protocols for the storage, handling, analysis, and disposal of data. GDPR is fast approaching and re/insurers are looking for new ways to leverage customer data for improving service delivery and providing customized products. In this post, Marek Kaszczyc, vice president and head of Poland operations at Xceedance discusses how organizations can harness ‘dark data’ to drive significant business results while ensuring superior GDPR compliance. He also focuses on the crucial correlation between organizational culture and a successful GDPR implementation. Xceedance CEO Arun Balakrishnan and ChainThat CEO Dave Edwards talk about the future of blockchain in insurance. Xceedance CEO Arun Balakrishnan and ChainThat CEO Dave Edwards discuss the partnership of their two organizations and the evolution of blockchain in insurance. In our previous post, we shared the ways in which Strategic Operations Support (SOS) relieves insurers of operational pressure across the entire insurance lifecycle. In this fourth and final post on SOS, we point out the ways in which SOS can help insurers view their businesses as franchises (in the sense of predictable repeatability, as detailed by Michael Gerber in his seminal book, The E-Myth Revisited ). Strategic Operations Support (SOS) allows core insurance operational activities to be managed by a knowledgeable cohort, who also shares the accountability for outcomes. By adopting SOS, insurers can better control costs (and non-compliance penalties), improve operations and leverage up-to-date capabilities. They can gain focused industry expertise and professional objectivity to ensure competitive responsiveness, to optimize internal resources, and to devote their attention to generating revenue. Amit Ranjan, EVP, global service delivery at Xceedance comments on a recent report by industry analyst firm Strategy Meets Action (SMA), “Data & Analytics in Insurance: P&C View Through 2020,” which provides a high-level overview of where the property and casualty (P&C) insurance industry is today and where it is headed with data and analytics initiatives. BPO allowed companies to concentrate on core, revenue-producing competencies by outsourcing the execution of the repetitive administrative functions of the back office. Strategic Operations Support (SOS) allows companies to employ insurance-specialist partners for core operational functions across the insurance lifecycle, while conserving time, resources, and operating costs. When business models become antiquated — and when terms, abbreviations, acronyms, and buzzwords fail to keep up with the evolution of business and technology in industries like insurance — you have to create something new. That’s why we created and continuously perform Strategic Operations Support (SOS) to succeed the sinking of conventional Business-Process Outsourcing (BPO). SOS isn’t a distress signal. It’s a lifesaver for rapidly changing insurance operations. Reinsurance magazine’s “RETV” recently talked with Justin Davies, Region Head – EMEA at Xceedance and David Edwards, CEO of ChainThat, on the potential of blockchain and the creation of insurance marketplaces within the industry. Matthew Grant, founder of Abernite and partner with Instech London spoke with David Edwards, CEO of ChainThat and Justin Davies, head of EMEA at Xceedance — on how ChainThat and Xceedance will collaborate and leverage the potential benefits of blockchain to streamline risk transfer between insurers and their markets. In a Q&A with Intelligent Insurer’s Baden-Baden Conference daily publication, Marek Kaszczyc, vice president and head of Poland operations at Xceedance discusses the evolution of blockchain in insurance and how this technology can improve transactional transparency, increase data security and reduce fraud. In a Q&A with Intelligent Insurer’s Baden-Baden Conference daily publication, Justin Davies, vice president and regional head of EMEA at Xceedance explores the landscape of emerging technologies and the prospects for robotics and artificial intelligence to transform insurance operations by boosting productivity, reducing turnaround times and improving process accuracy. Manish Khetan, chief strategy officer and Amit Tiwari, chief technology officer at Xceedance advocate the benefits of industry-focused managed services partners with examples of how such providers can help bridge the gap of expertise and operational dexterity for insurers seeking efficiencies and growth in the age of insurtech. Amit Ranjan, EVP, global service delivery at Xceedance, explains how the insurance industry today is on a whirlwind learning curve. He predicts that while insurtech business models have the potential to create meaningful disruption in the industry, they also create new challenges for a variety of insurance stakeholders. Xceedance CEO Arun Balakrishnan explores the convergence of new technologies including AI, RPA and blockchain, and their potential to spur positive change, process optimization and growth for insurance organizations. With looming deadlines for General Data Protection Guidelines (GDPR), insurers are among companies worldwide gearing up to better safeguard data and meet the regulatory standards of GDPR. Marek Kaszczyc reviews key questions and procedures insurers should examine to optimize data protection and avoid significant penalties. A report by the Center for Business and Economic Research lists underwriting on the top ten list of occupations vulnerable to automation. But despite technology, experienced underwriters will continue to add value to insurance operations. Xceedance is exploring RPA to enhance the business processes of insurers, helping to reduce operational costs, gain efficiency and improve overall accuracy and customer experience. The objective of the London Market Group’s Target Operating Model (TOM) is to ensure that risk assessment data is cleansed once and then distributed to all relevant parties, thus increasing efficiency, reducing duplication and costs and ensuring uniformity of information for the entire Lloyd’s market. Removing barriers to exposure data efficiency can only lead to an improvement in the market. Exposure management is a vital part of the insurance industry’s service offerings. But the quality of risk data provided to underwriters is poor, with most submissions requiring significant enhancements. Even to achieve marginal gains, each part of the process needs to be examined and improved. Artificial intelligence and robotics are inevitably tied to our future business and personal interactions. Yet, human intuition and expertise will remain key to leveraging the decision-making benefits that will emerge as a result of intelligent technology. Xceedance CEO Arun Balakrishnan recently provided some perspective on the potential of Blockchain in insurance markets. Startup City magazine highlights the emergence of Xceedance as a disruptor of traditional business service models in insurance. Xceedance joins Target Markets and NASSCOM to connect with global insurance program administration markets and with the technology/business service provider community in India. I’m a Trekkie and a pretty obsessed one at that. If you are wondering what Gene Roddenberry’s extraordinary creation has to do with insurance, humor me and I’ll explain. Justin Davies, newly appointed head of the EMEA region, recently shared his thoughts on the realities of a perpetually tough insurance market in an article for Global Re-Insurance. The business development team at Xceedance was expanded in the summer with the addition of announce that George Freimarck as vice president of business development.